Judith Penak Couture: Racing Fashion Guide 101! Spring is almost here, and that means the racing season is just around the corner. But what do you wear to a racing event? Well gather around, Racing Fashion Guide 101 is in session and we will give you the exclusive tips to find your perfect dress! Don't let your dress be a fashion disaster. This season race-goers are opting for a classic and understated take on the traditional spring fashion trends. Exquisite accessories, such as bags, shoes, jewellery are number one! 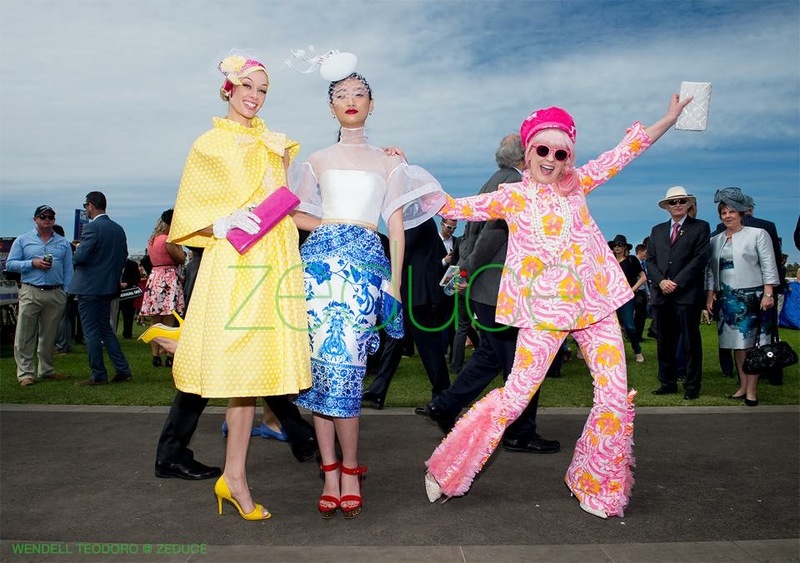 The sugary sweet pastel trend will be quite popular this year at the Spring Racing Carnival. Get ready to see soft pinks, lilacs, mint greens and baby blues in 1950's silhouettes. The clashing of prints has never been so popular. This year, fashion lovers will show off their wild side by breaking the rules and mixing patterns together for a brave feast of edgy, quirky and fun fashion. Monochrome is a lady like combination that is forever chic. You can never go wrong with a black and white dress! It is classic and effortless and lends itself to the feel of feminine, understated glamour! Lady like dressing, modest silhouettes and classic styles are key to successfully putting together your look. Hemlines should always be below the knee, never wear sequins trackside, always wear headwear, denim is not acceptable, underwear should never be on display and if you choose to bare a little bit of skin, remember that less is more. This season headwear will be quite memorable. Individuality and unique textures is on the trend right now! Expect to see polka dots, metallics, leather, brass, exotic skins prints and 3D elements such as leaves and arrows. Choose your headwear second to your outfit and then style the rest of your look accordingly. Race wear and party wear differ greatly. 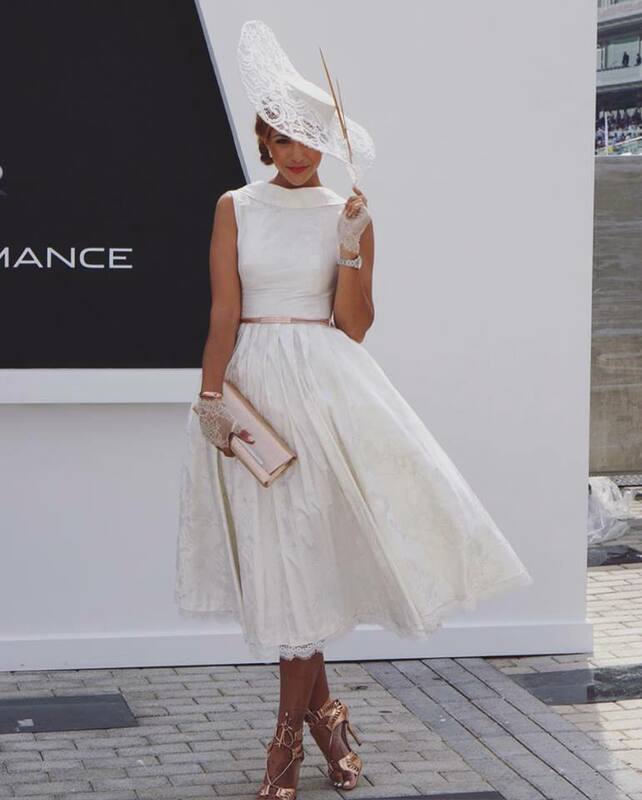 Race wear is about elegance, modesty and femininity. Party wear is often fun and flirty, and showing off a little more skin is somewhat more acceptable.